RD8100® cable locator is engineered to deliver high precision for damage prevention when locating buried cables and pipes. 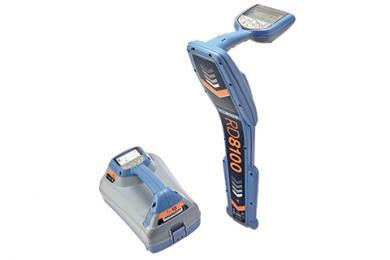 This advanced range of underground utility locators offers optional integrated GPS and usage logging, and is backed with a 3‑year warranty. RD8100 is our most advanced range of high-precision cable locators, and builds on over 40 years of pedigree to deliver performance, quality and durability. Containing a unique arrangement of 5 custom-manufactured, precision-ground antennas, it allows you to choose the best method to locate specific pipes and cables. Read our guide to cable and pipe locators to understand more about how locators work. Integrated GPS and usage-logging options automatically generate data for customer reports, or in-house quality and safety audits to promote best working practices.